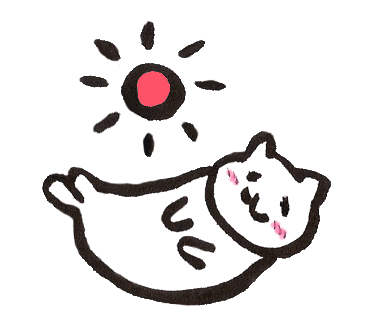 Yesterday, I took a nap on the sofa. Suddenly doorbell woke me up and almost gave me a heart attack because the sound of my house’s chimes is too loud. it was a mailman. 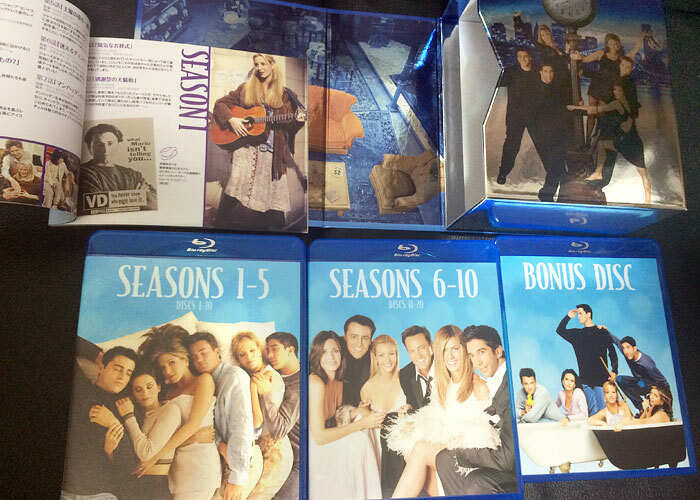 Anyway, I got Friends Blue-ray complete series!! I will write about this great thing but before that, I’ll tell you about the history of my cherished treasures in my house. We Japanese call that stuff “Kahou（家宝）” which means “family treasure”. Following items are one of my Kahou. I watched the movie “Napoleon Dynamite” for the first time on late-night show in Japan about 5 years ago. I was shocked to see this weird atmosphere. The characters are so unique and the story makes me relax for some reason. I was addicted to this movie. I got the DVD of Japanese version. 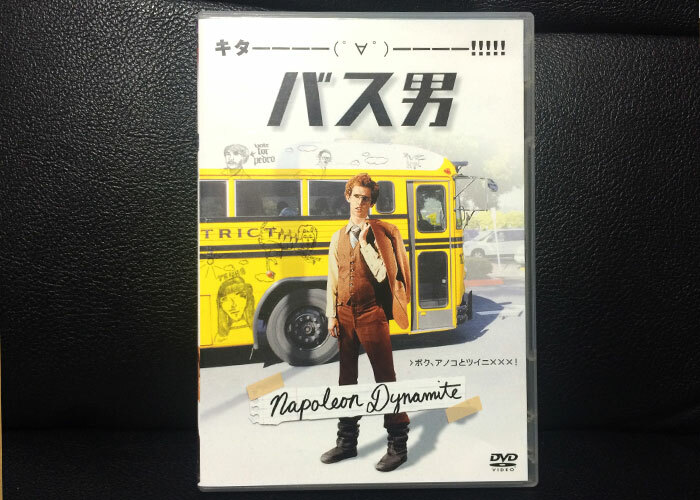 Unfortunately, the title was changed because at that time, Japanese drama “Train Man(電車男)” was popular, so the company released Napoleon Dynamite as “Bus man”. But they apologized for naming the movie that disappointing title and re-released it that has real title recently. 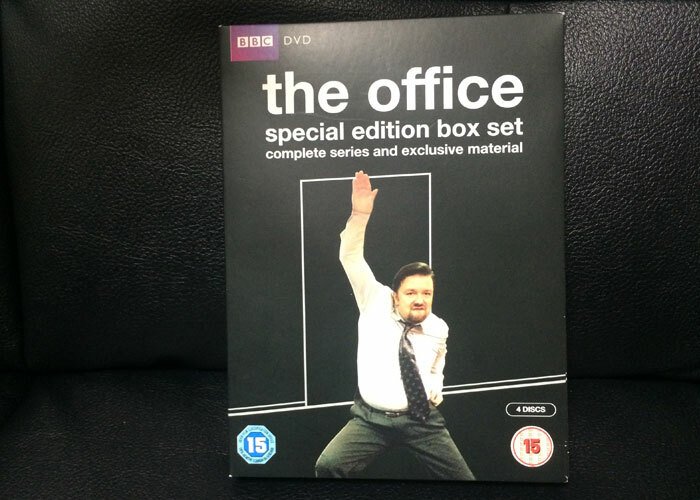 “The office” and Ricky Gervais are not that popular in Japan. I watched it and thought “Oh… this is so awkward but I can’t stop watching it”. I wondered what makes British people laugh on this drama. In my opinion, I think they pay more attention to shame thing than other country’s people but at the same time, they are really generous with shame. If the show was on TV in Japan, Japanese people couldn’t stand keeping watching it because they hate each awkward situation and tend to try to avoid it as much as they can. I love this scene. Davit Brent’s dance(3:12) is awesome. I saw this video again and again! It’s not movie and drama but video game. I’ve talked about only DVD and games… I’m rather an indoor type of person. 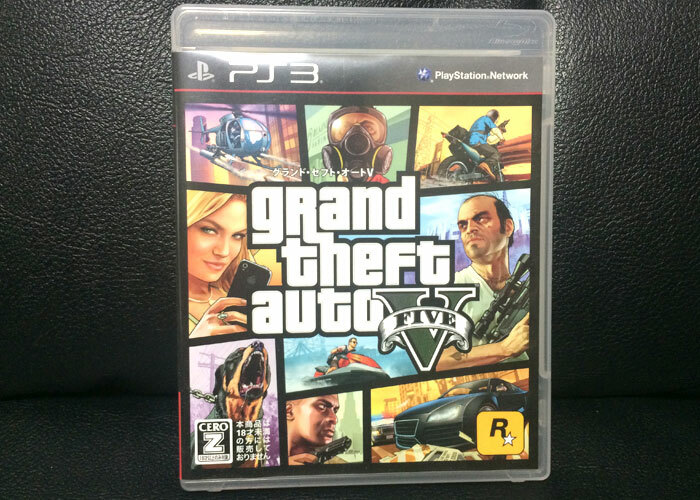 In the game, I like throwing a grenade to police cars. I run over people but I never run over cats. That’s my principle. I’m a big fan of Friends. 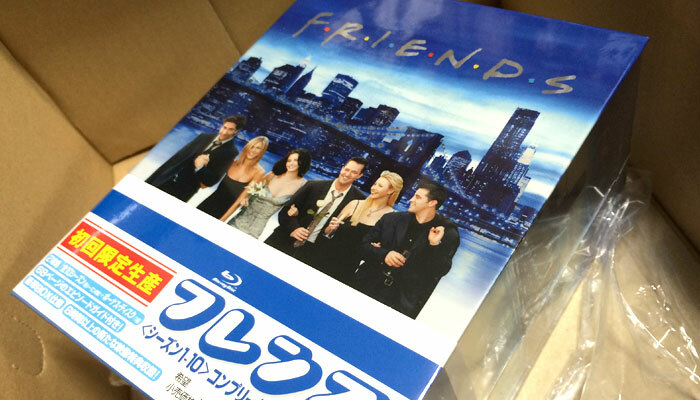 I rented Friends DVD from local DVD rental store because it only costs 100yen($1). The reason why I didn’t buy a DVD complete series is that if I buy it, I watch it all day long and can’t go outside forever. But when I happened to watch Blue ray version Friends, I thought I should buy it and I made up my minds to stay home forever with “Friends”. I don’t need real friends anymore. The Japan’s version is above. It costed 27000yen ($240). It was really expensive but I heard that there is a possibility that I get a pirates version if I order cheaper one on Amazon.co.jp, so I chose Japan’s. I’m satisfied with the blue ray’s resolution. I feel like I’m watching a new “Friends” even though I had already watched all episodes! Now that I get it, I stay home all day long happily! Banzai! 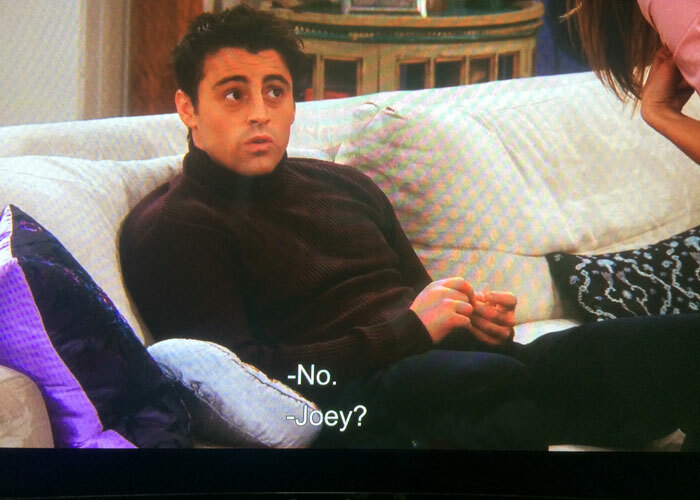 Friends is the best. I’m confident I’ll never get bored.